Kiwi rally driver Hayden Paddon and his British co-driver Seb Marshall are feeling relaxed and focused as they join fellow World Rally Championship competitors for their first run at Rally Turkey this week. 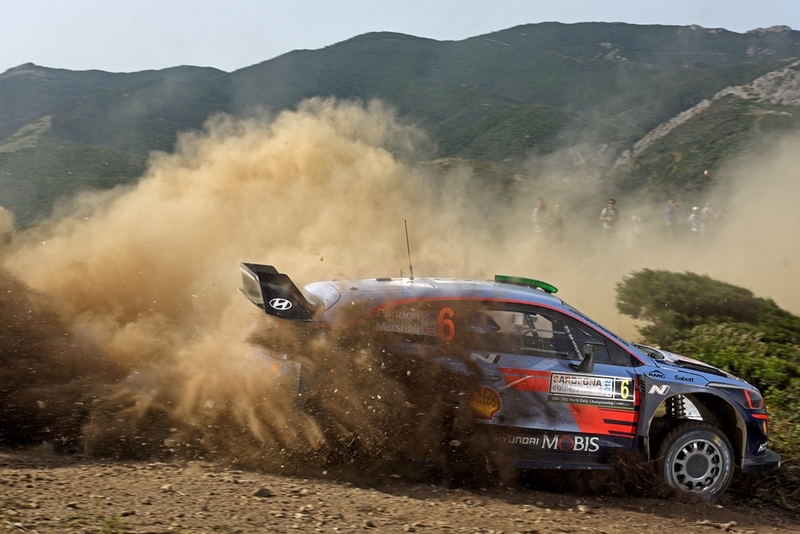 The Turkish rally returns to the FIA World Rally Championship for the first time since 2010, running for the first time in the Marmaris/Mugla region in south-west Turkey on the Mediterranean, meaning none of the current crop of WRC crews have competed here. “I think we can achieve something quite special here. We just have to stay focused and calm and let things naturally happen. But we have prepared well, the car is feeling great and we have a good road position.” With Friday’s running order decided by competitors’ current championship position, Paddon will run towards the rear of the 12-strong WRC field, potentially offering clearer lines on the gravel stages. The Asparan service park is the rally hub. It’s just a few kilometres from Marmaris and within very easy access of several special stages. Several stages run alongside the sea and are expected to offer a scenic backdrop for the WRC action. Thursday night’s street stage in host town Marmaris, running alongside the picturesque marina. Organisers are predicting crowds of about 20,000. Friday’s route heads north for three stages, run morning and afternoon for a total of 144.84km. The day’s opening 38.10km test is the longest of the rally. Saturday takes competitors along a peninsula to the west for 130.62km for another repeated loop of three stages. Four short stages from 10am Sunday conclude with the power stage’s unique route which finishes in the service park. Paddon and Marshall – in the #6 Hyundai i20 WRC car – join Hyundai Motorsport team-mates Thierry Neuville and Nicolas Gilsoul, and Andreas Mikkelsen and Anders Jaeger in Turkey.